"I hope you and yours enjoy a safe and happy 4th of July. Happy 233rd birthday, USA! Well, sort of, as the USA is actually 220 years old dating back to the adoption of the Constitution)..."
I read this quote from a good friend of mine today and thought it would was a great message for this day. 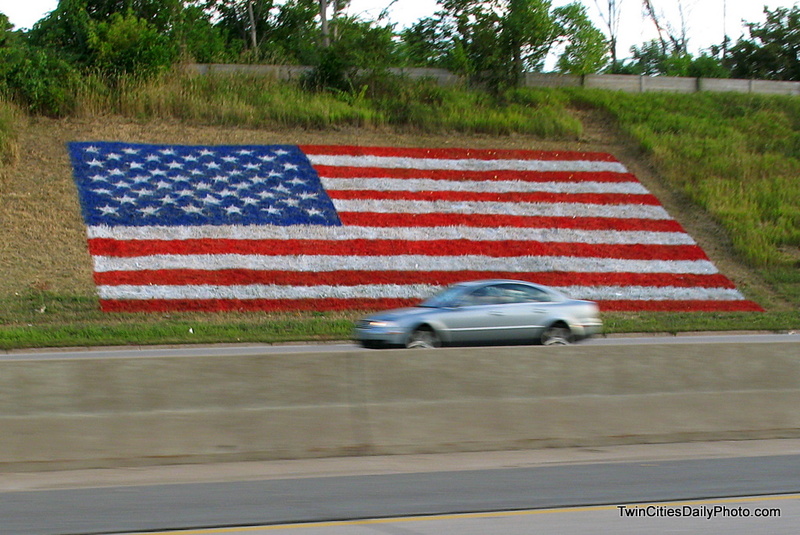 The photo was taken during the Republican National Convention in 2008 along Highway 94 while driving 55+ miles per hour. Regardless of when it was taken, it's an apt symbol for today. Happy 4th to you, too.